GripTweet — agile dimension inc.
Use GripTweet whenever you have to tweet with one hand securely. 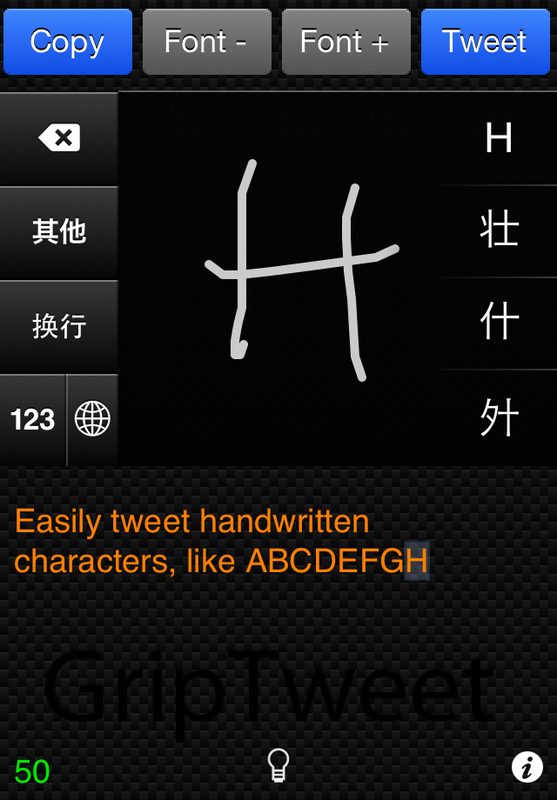 Test the strength by trying to grab the device from someones hand while typing with GripTweet and then compare with a normal keyboard. Just type something, tap Tweet and then Send. Away! Use the handy flashlight if you need to type something printed when you're in the dark. You may also just copy the text to the clipboard, launch another app & paste. You need to have the built in Twitter app setup before using this app.